An Integrated Practice Management System to Help You Get Paid. Streamline your process with Kareo. Use electronic charting, patient scheduling, billing and reporting as part of your digital office. Kareo BIlling is cloud-based technology which means easy software updates along with access anytime and anywhere. 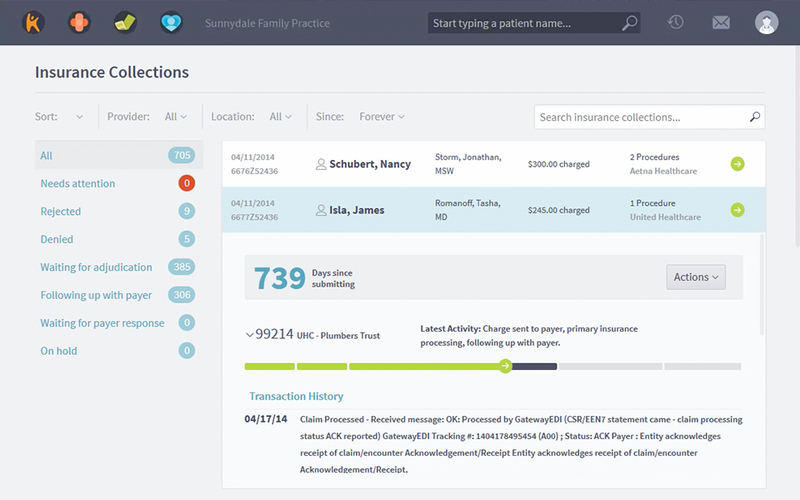 See how easy it is to successfully manage your medical billing with Kareo. Reduce your days in A/R with our comprehensive end-to-end claim tracking. Includes smart checks and balanced built right in to your workflows. 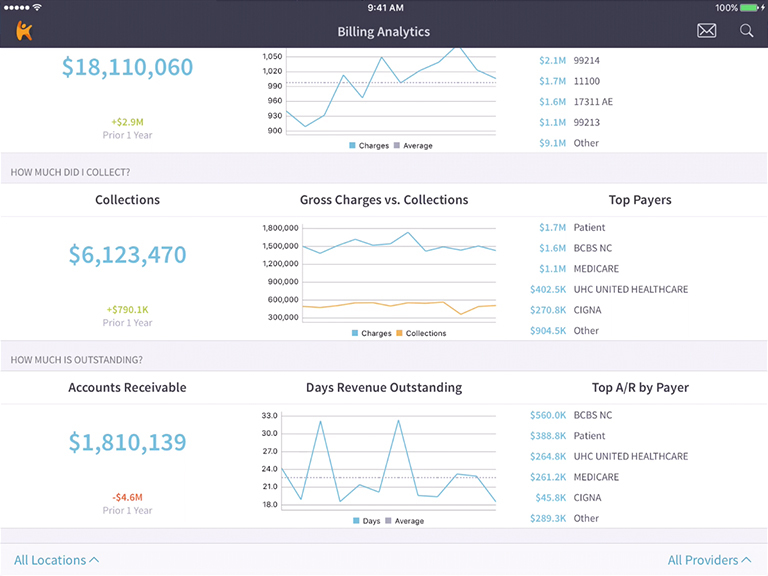 Understand the financial health of your billing with our easy-to-access reporting and dashboard. Eliminate lost or missed charges using Kareo. We have more ways to capture your charges so your billing can start right away. Enable your biller with trusted medical billing software including all the tools they need to manage claims, A/R and run reports. 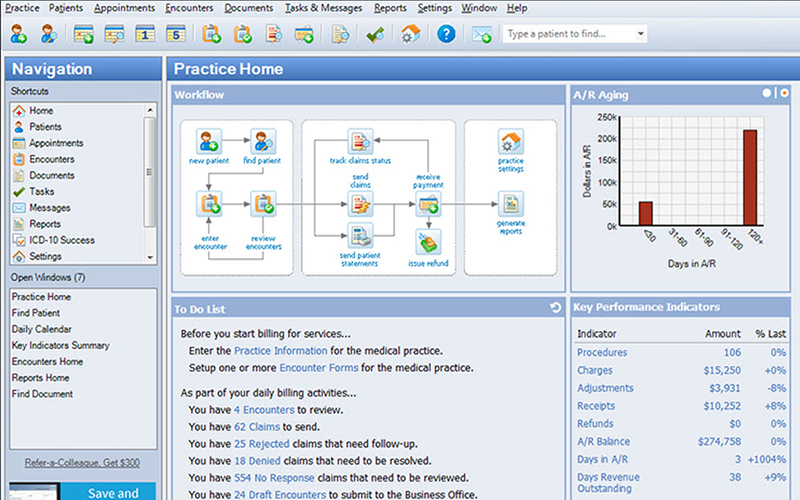 Simplify your medical billing and maintain control of your practice. Customize your schedule, manage patient scheduling and alerts and send appointment reminders. 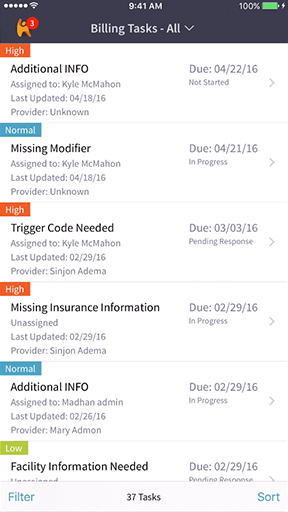 Kareo is ICD-10 compliant and has tools to help you code correctly. Enter a few fields and you have an account. Download the Kareo desktop application in minutes. Your success coach will get you up and running easier and faster than you thought possible. As a NPP, example; NP, PA or PT, you enjoy full access but receive a 50% discount off the normal subscription fee. When do you start billing me for my Kareo PM account? Kareo offers convenient self–service customer support resources at no additional charge with every subscription. This includes online help, user manuals, guides, training videos, knowledge bases, and our user community forum. You also receive ongoing help with any electronic claims or electronic remittance enrollment questions at no additional charge. If you require any other type of help from our customer support team after your first 30 days, we also offer email, chat, and phone support options. Kareo support can be reached Monday through Friday, 5 AM – 5 PM (Pacific Time), excluding national holidays. You can email: support@kareo.com, chat with a live agent: www.kareo.com/chat, or phone: 1-888-775-2736. Can I process credit card payments from patients using Kareo PM? • Patient credit card on file or paying online 3.9% + $0.30 tax per transaction. You need a modern Windows PC with a high speed Internet connection such as DSL, cable modem, or T1. The minimum requirements are a Windows PC with a 1 GHz Intel Pentium III processor, Microsoft Windows XP operating system (Service Pack 2 or higher), 1024x768 screen resolution, 17 inch monitor, and 256 MB RAM. We recommend, however, that you use a PC with a 2 GHz Intel Pentium 4, Pentium D, or Core processor, 1280x1024 screen resolution, 19 inch monitor or larger, and 1GB RAM. 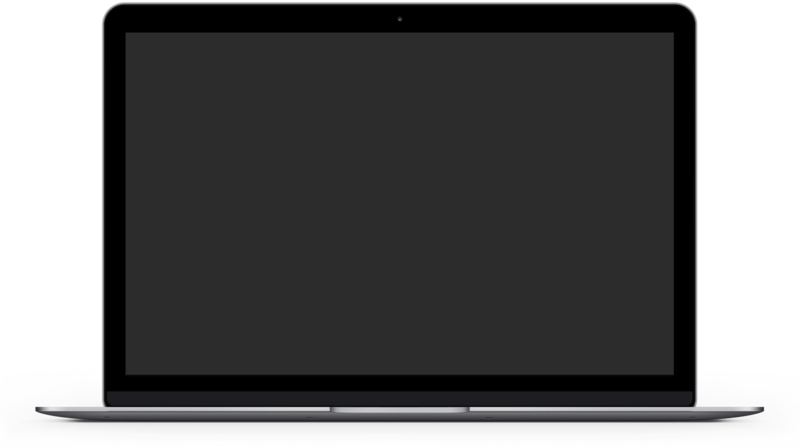 Can I run Kareo Practice Management on a Mac? Your data is securely encrypted, stored, and backed up in the cloud. All your data being sent to and downloaded from our servers is protected with industry-standard encryption. Kareo EHR is compliant with all HIPAA Privacy and Security Rules. For more information about security, please read our Security Notice.